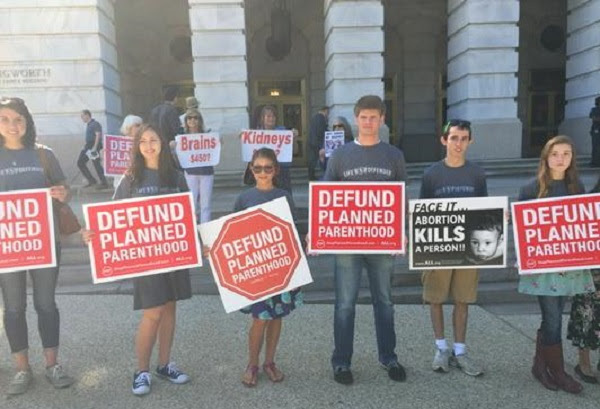 The House of Representatives voted today for a resolution supporting the de-funding of Planned Parenthood while an investigation continues into it s sale of aborted babies and their body parts. The House voted 241 to 185 for the resolution, with 238 Republicans voting for the bill to defund the Planned Parenthood abortion business and 3 Democrats joining them. In an interview with MSNBC after she was grilled for five hours at a Congressional hearing about Planned Parenthood selling aborted babies and making a profit doing abortions while still getting half a billion in taxpayer funding, abortion business CEO Cecile Richards complained the questioning was sexist. They must be getting desperate. Planned Parenthood is pulling out all the stops to defend itself, including celebrity backers  from Scarlett Johansson to Lena Dunham. 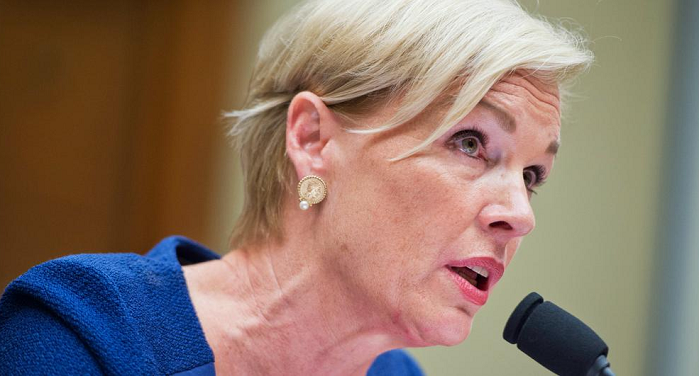 Tuesday morning, Planned Parenthood president Cecile Richards testified before the House Oversight Committee in regards to the videos exposing the abortion giants harvesting of aborted baby parts. 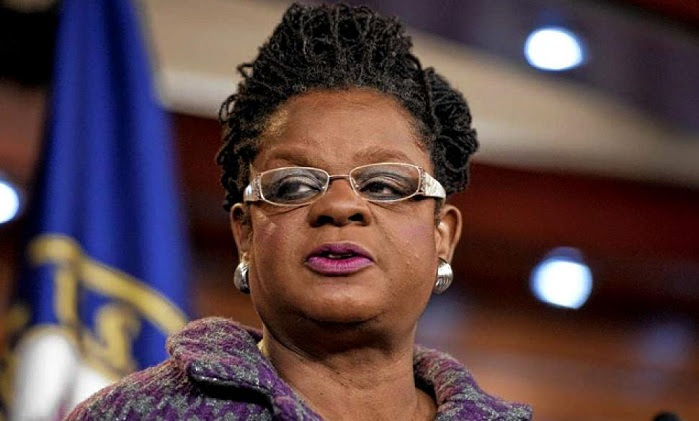 On September 28th, Rep. Gwen Moore (D-Wisconsin, 4th) elaborated on her support of abortion and Planned Parenthood at a press conference held by the Congressional Black Caucus. The Daily Caller reports that the Congresswoman indicated that some women are forced into carrying their unborn children to term because they cant afford abortions. In a nearly five hour long hearing, PPFA President Cecile Richards yesterday sparred with critics on the House Oversight and Government Reform Committee and basked in praise from supporters. 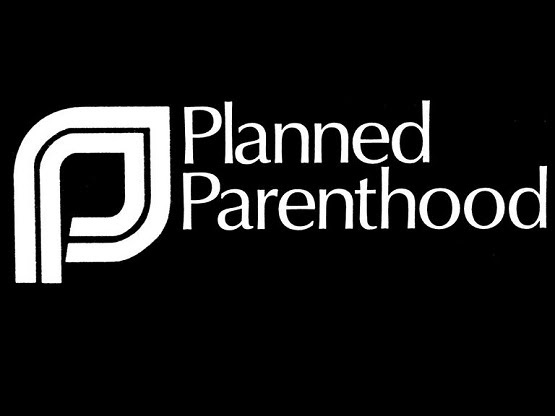 Here are five takeaways from the hearing which centered on taxpayer funding of the largest abortion provider in the United States. As was noted early and often, government funding makes up 41% of PPFAs $1.3 billion in revenues. 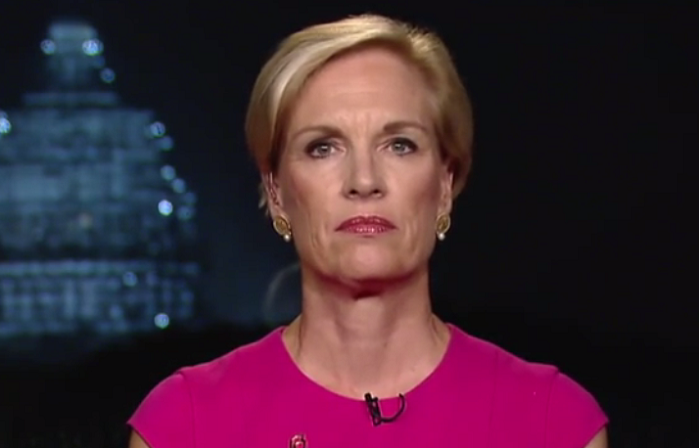 While much of the coverage of yesterdays Congressional hearing with Planned Parenthood CEO Cecile Richards focused on some of the shocking comments she made or the egregious funding of Planned Parenthood with taxpayer funds, Richards confirmed that the abortion company will continue selling the body parts of aborted babies. 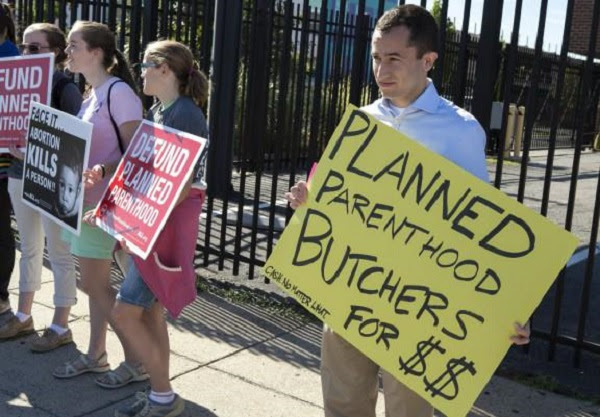 A brand new widely touted USA Today/Suffolk University Poll claims that 65% of Americans support federal taxpayer funding for Planned Parenthoods abortion and murdered baby parts selling business. Or so the mainstream media would have you believe. On Aug. 21, 1879, various people in Knock village saw a vision, or manifestation, on the outer gable wall of their small parish church, in this forgotten corner of the west of Ireland. On one side there were three persons, identified as Saint Joseph, Mary the Mother of God (crowned as Queen) and Saint John the Apostle. But the center of the vision was a Lamb, standing on an altar, with a large cross behind it and angels circling; a strong light came from the Lamb. 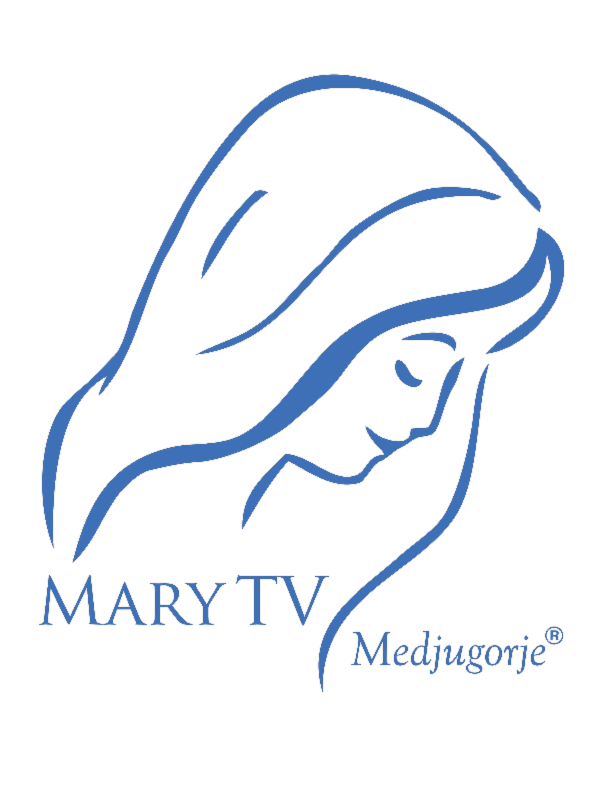 Yesterday Mary TV was able to stream “An Evening of Prayer for Peace at St. Stephen’s Cathedral”. It was a beautiful evening of prayer. There were testimonies about the fruits of Medjugorje. Marija Pavlovic Lunetti shared about her experiences of Our Lady. The Rosary was prayed. And during that prayer, Our Lady appeared to Marija and blessed everyone. Then Cardinal Schoenborn and over 50 priests, concelebrated Holy Mass and Adoration of the Blessed Sacrament. The music was beautiful, with Melinda and Roland from Medjugorje! It was so prayerful and peaceful, and holy ! The homily was given by Cardinal Schoenborn, and I cannot resist transcribing it for you. It was simple but very insightful. (Thanks to our translator for working so hard to translate into English for us. It is never easy. But I believe we have a good translation of the Cardinal’s words.) The Gospel yesterday was John 1:47-51, when Jesus calls Nathaniel. Each one of us has such a mystery with Jesus. He knows me. Rabbi how do you know me? It is not so comfortable if someone knows someone this well. There are sides of us that we do not like to show to others, and it is uncomfortable when someone sees those sides of us. But with Jesus it is different. If He knows us, we do not need to be ashamed of anything. Brothers and sisters, that is not all. It goes further. “Rabbi, it is you, you are the King of Israel.” To know Jesus is the heart of our faith. Otherwise we are not Christians. Jesus says, “You will see even bigger and greater things.” And that is what He says to all of us. We will see heaven opened. What does it mean that “you will see heaven opened”? What does it mean? How is that possible? Have you ever seen heaven opened? I want to give you a few thoughts, but there are many experiences that complete that image. How can we see heaven opened? You will see heaven opened. Can you remember when it was said in Holy Scripture that heaven was opened? First, here in front we can see St. Stephen. We can see above him Jesus, at the right hand of God. The big number of martyrs today make heaven open. St. Stephen with his lighted face, the face of an angel, looks up and says he can see heaven open and Jesus standing at the right hand of God. Opening heaven… to give witness to Christ opens heaven. Second, we do not have enough room for everyone inside the Cathedral for Adoration tonight. Mary is the one who opens heaven to us. Through her heaven opens to us. It is unbelievable and wonderful that the Mother of God is always opening heaven, so we can enter heaven. If I think about the 60,000 young people who joined her in Medjugorje this year. It was very hot. But there was no beach. There were no tourist attractions. But the young people came. Why? Because they experience heaven open there. Wherever Mary is, heaven is open. Thanks to the Mother of God who brings us the fresh air from heaven, and as it is said, you will see the angels ascending and descending on mankind. Third, when we see the Eucharist, we know that heaven is opened and the angels are ascending and descending. I cannot see it, maybe you cannot see it, but maybe someone here can see it. All the angels of heaven are here and heaven is open over us. Jesus is present. Heaven is open over us. And heaven opens over us when we are in Jesus’ presence. Finally, today we have a big challenge. Yesterday in Afghanistan, there was a town attacked by Taliban, and there are hundreds of thousands of refugees headed this way. It is not going to end soon. There is so much need in this world. And the question is not about statistics, but about us, individually, who see people in need, parents with their children, old people, young people, they are all people. Remember, “Whatever you have done for the least of these you have done it for me.” This is a chance for us to serve our brothers and sisters. It is a great challenge for Europe. But Europe may see heaven open. If we turn from egoism, maybe Our Lord wants to open heaven for us through what is actually going on. Amen. Let’s take time today to ask Jesus, “How do you know me?” He wants us to know how much He knows us. It will liberate and heal us to be known by Jesus! In Danger of Death Despite the prevalence of the threat of death, and massive measures to prevent it, modern secular man does not like to dwell on his own death. 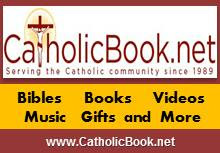 The truth about death, resurrection, and the afterlife is explained in detail in the Catechism of the Catholic Church and in the theological treatise on the Last Things: death, judgment, Heaven, and Hell. Here one will find the best and most satisfying answers that have ever been given to the riddles of life and death. It is the best and most satisfying because it is true. God Himself, who is infinite truth and goodness, has revealed it to us, and His one, holy, Catholic, and apostolic Church proclaims it in the power of the Holy Spirit to the ends of the earth. Truly, as Christians, we may rejoice in the face of death, for, as St. Paul said, “Death is swallowed up in victory” (1 Cor. 15:54). Praying outside of abortion centers saves lives. 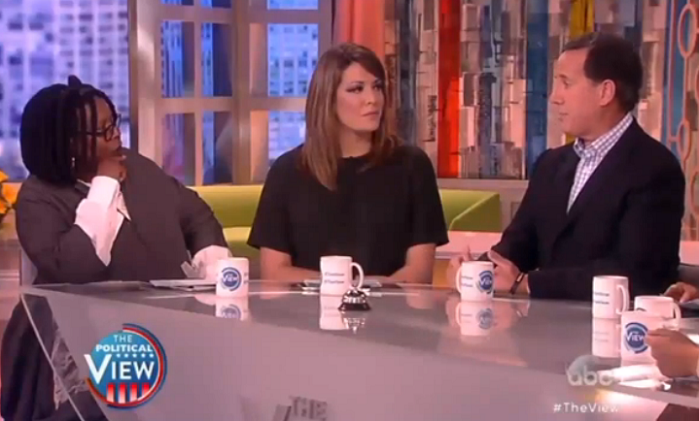 Don’t just take it from me – listen to former Planned Parenthood workers. They report that the “no show” rate for abortion appointments goes as high as 75% when people are peacefully praying outside. If you needed motivation to go out and pray – that’s it! This is why abortion businesses will often build fences along the sidewalk. It happened in Boulder, Colorado … in Sacramento, California … and at the site of the first 40 Days for Life vigil in Bryan/College Station, Texas (the fence quickly came down when Planned Parenthood moved out and we moved in). The bottom line is that abortion facility managers don’t want you to talk to – or even pray for – the women going in. It’s bad for business. Your loving presence is too much for a fence – or a heart – to turn away. The campaign kickoff event in Las Vegas drew more than 100 people, including ten pastors. But what impressed Ken the most was a 15-month-old boy. “It was only the second time in 25 years that I have been able to hold a child saved through pro-life efforts in which I was involved,” he said. The boy’s mother had arrived at the abortion center and was met by one of the volunteers. But the mom spoke Spanish and the volunteer spoke English. They quickly found another vigil participant to serve as interpreter. The baby she was carrying was her family’s fifth child – and first son. Mark in Las Cruces shared the good news of two turnarounds – something they rarely find out about because of the logistics of the abortion center and where the prayer volunteers are allowed to stand. “To have two in one day is unprecedented for us,” he said. 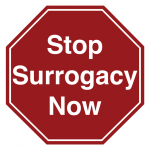 Both women left the abortion facility to seek life-affirming support and guidance from the local pregnancy help center. The same guy showed up the next day, thanking 40 Days for Life volunteers for making a difference in his life. She then pointed to the perfectly healthy little girl in the back seat of her car. She was excited to see the vigil and thanked the people for being there. Here’s today’s devotional from Fr. Frank Pavone, national director of Priests for Life. May the spirit and example of the Good Samaritan fill the hearts and minds of all our citizens. Here Jesus commands us to show mercy to the victims of the culture of violence and death. In working to save the unborn, let’s not worry about what will happen to us if we act; let’s worry about what will happen to the unborn if we don’t. Father, we are moved by the lesson of the Good Samaritan, who allowed compassion to influence him more than fear. Give us the same heart. Grant that we may never count the cost of standing up and speaking out for the unborn. We pray through Christ our Lord, Amen.